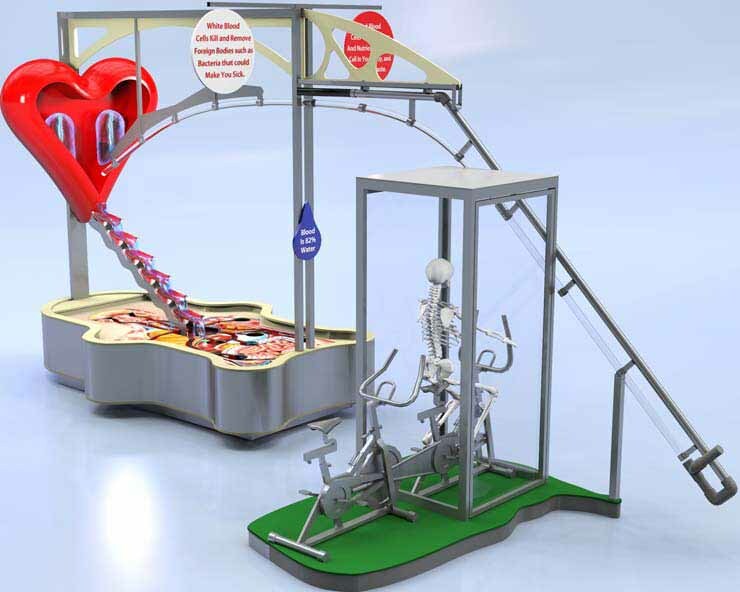 It teaches young visitors about their cardiovascular system while being a lot of fun to play on. 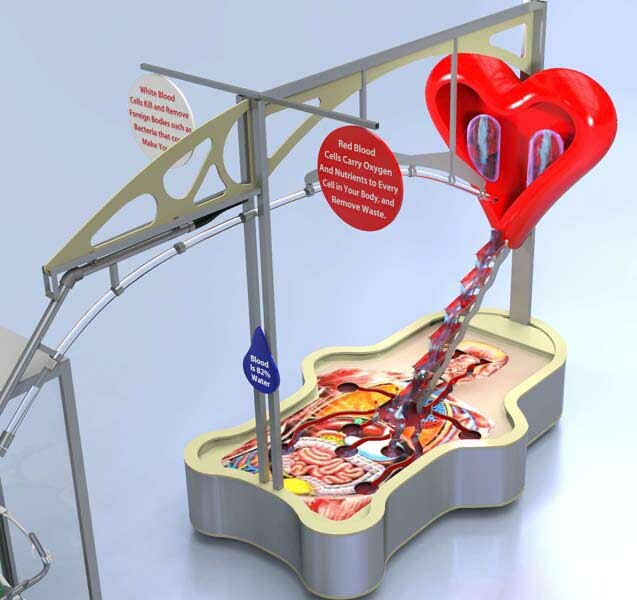 This exhibit is the centerpiece of several medical field exhibits that I am developing. I am now designing a human heart to replace the heart shown here. This human heart will portray the pumping of low oxygen (blue-ish colored) blood from the body into the lungs, and the pumping of well oxygenated (red) blood from the lungs to the entire human body.